“Success calls for getting the right balance between managing your stakeholders, team and customers,” said one senior manager. “People often think that climbing the corporate ladder will lead to them spending their days directing strategy, but this isn’t the case. “Frequently you spend increasing amounts of time managing your key stakeholders, such as your bosses. That is fine, because morally you must satisfy the people who pay you. “Managing upwards is crucial, because many bosses worry. They will also intervene if you don’t keep them informed. Imagine you are a leader. Let’s explore how you can get the right balance between managing these three groups of people. 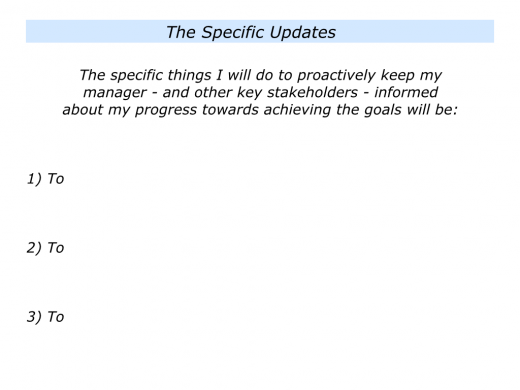 Who are the key stakeholders you need to manage? 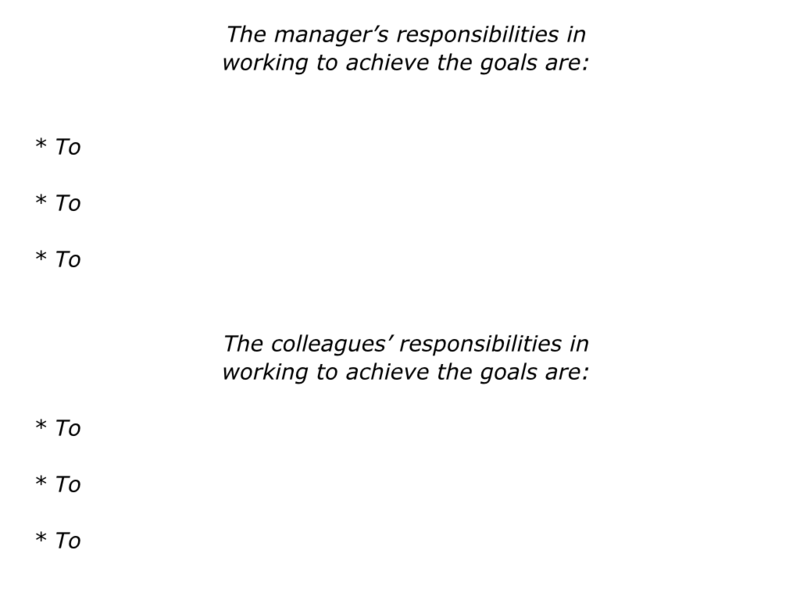 These may include your manager, other leaders in the organisation and some of your peers. 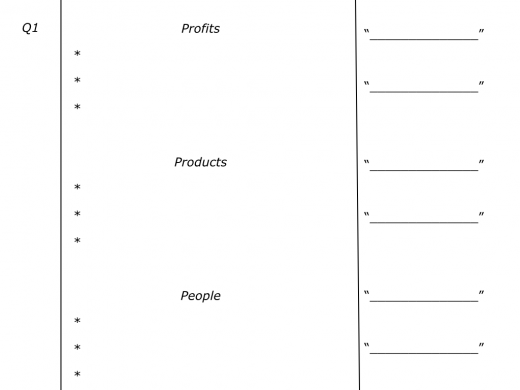 Let’s explore how you can manage these stakeholders successfully. The first step is to ensure that, as far as possible, you are working for a manager with whom you have a values-fit. Later we will explore what to do when this is not the case. Let’s imagine, however, that you and your manager share similar professional values. 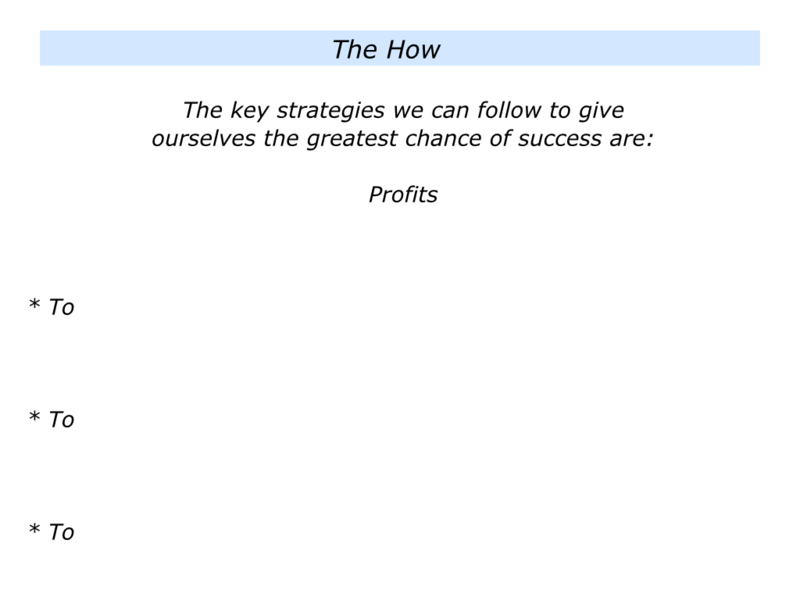 You are in broad agreement about the ‘What’ and the ‘How’ – the picture of success and the principles to follow to achieve these results. 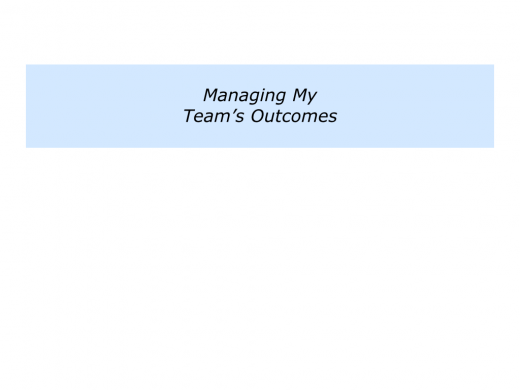 Every organisation and every team has a Scorecard. These are the mandatory things that must be delivered. You may also be able to do stimulating projects on top of this, but it is vital to deliver the Scorecard. Otherwise life can get difficult. 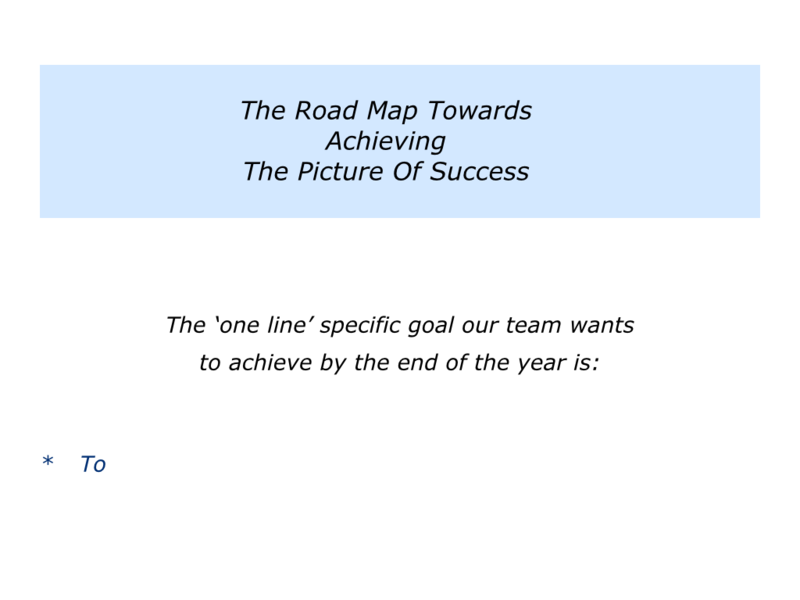 To make clear contracts about what your team must deliver and by when – this is the agreed picture of success. 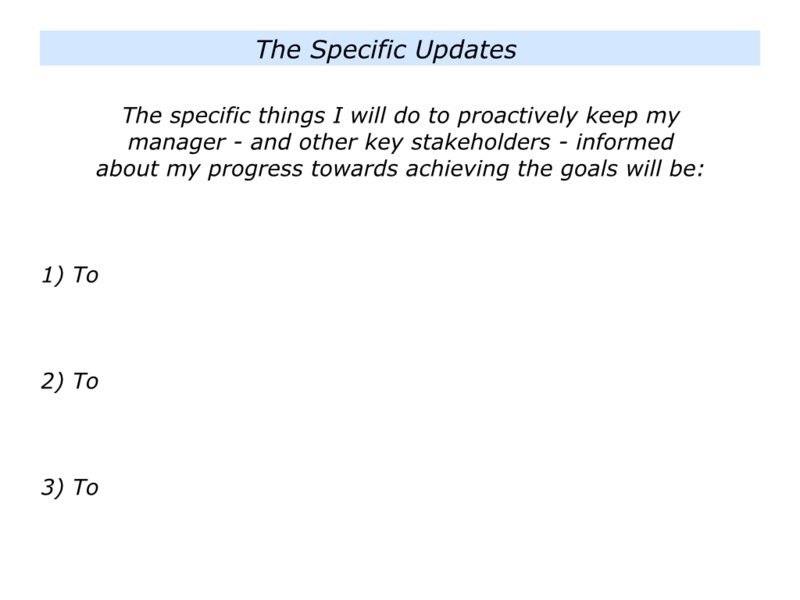 To proactively keep your key stakeholders informed about the progress towards achieving the goals. 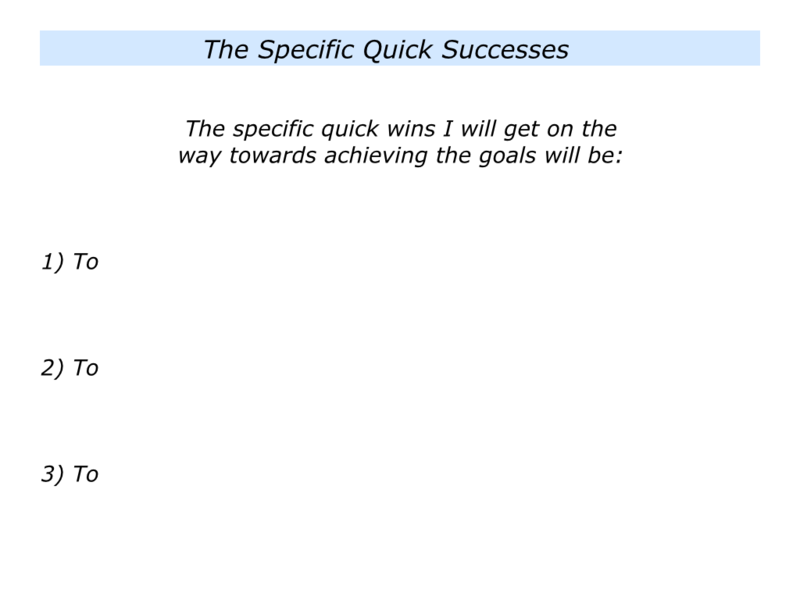 To get some quick wins, produce superb work and deliver the agreed picture of success. “Get some early successes, because that will buy you time,” said the senior manager mentioned earlier. Managing your stakeholders is crucial. After all, they are akin to your Venture Capitalists. 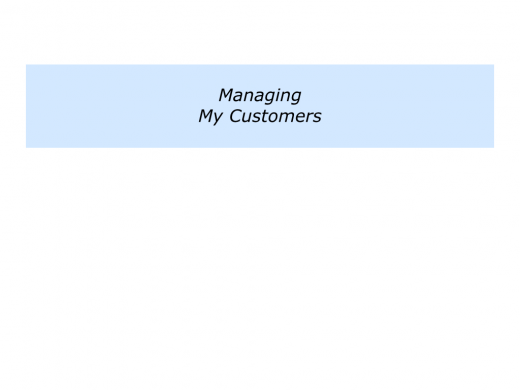 Getting it right will release time to manage your team and customers. 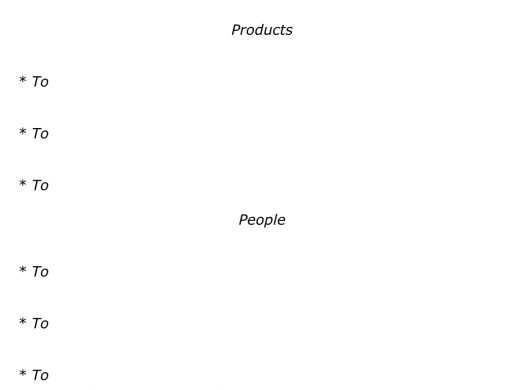 Getting it wrong will mean spending masses of time trying to keep the stakeholders onside. Clear contracting provides the framework for your work together. How to make this happen? You may want to meet with your key stakeholder and, in your own way, say something along the following lines. Thank you for the meeting. I would like to make clear contracts about the specific results you want our team to deliver. We will then make sure we deliver these goals. This is the Scorecard – the mandatory things that we must deliver. Are there any other things you would like us to add to the Scorecard? If so, let me add those to the targets. 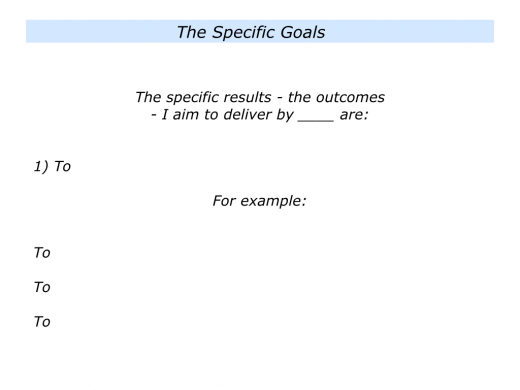 Are their any other particular Dos and Don’ts you would like us to follow on the way towards delivering the goals? 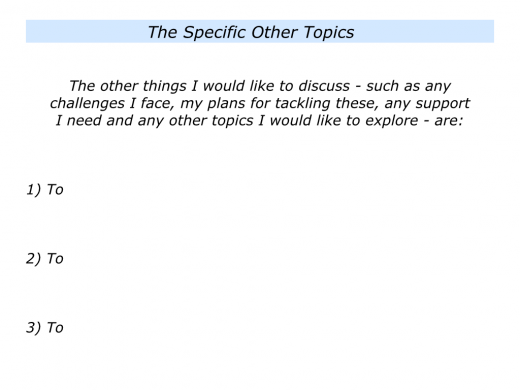 Are there any other topics that it would be useful to explore? Thanks for the session. I will put together a summary of the results to achieve – together with what must be delivered by when – and then send it to you. Is that okay? You can repeat this process with all the key stakeholders. You can then get on with delivering the Scorecard. If appropriate, you can also do stimulating projects that enable the organisation to achieve success. 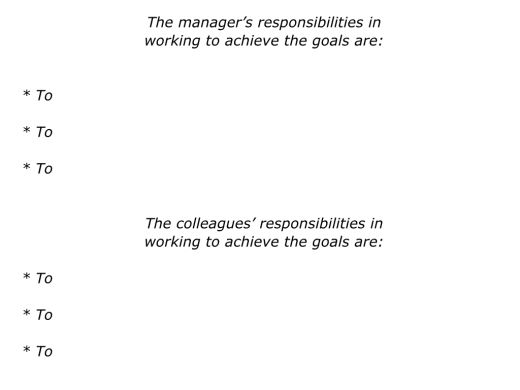 What to do if you do get on with your manager? Be super professional. Imagine that the person is an external client and – as you would with such a client – do whatever you can to deliver the agreed results. Bear in mind, however, that such a relationship may not be sustainable. You may find the daily task of working for such a person to be exhausting. Do not become a victim by allowing them to define who you are or to affect your self-confidence. Continue to be professional, but you may eventually want to find a role working with a leader with whom you have a values-fit. 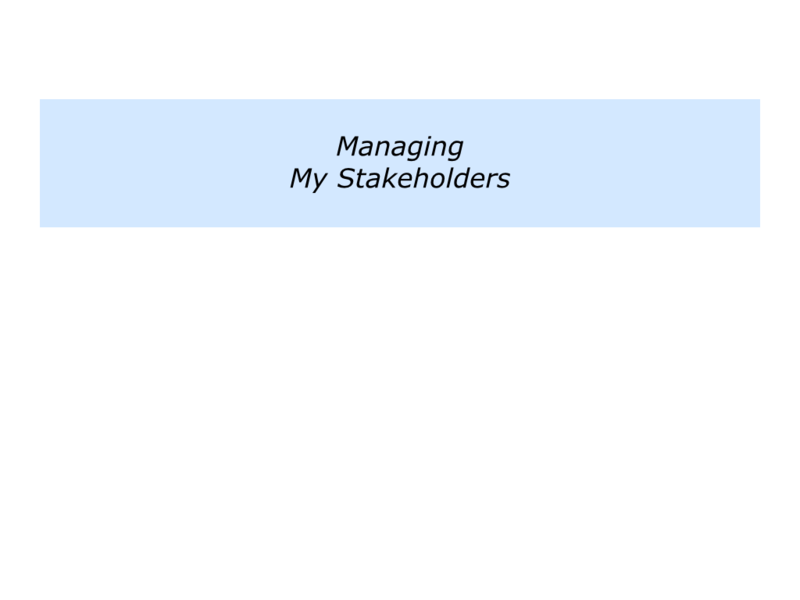 Let’s return to the topic of managing your stakeholders. If you wish, try tackling the exercise on this theme. This invites you to do the following things. 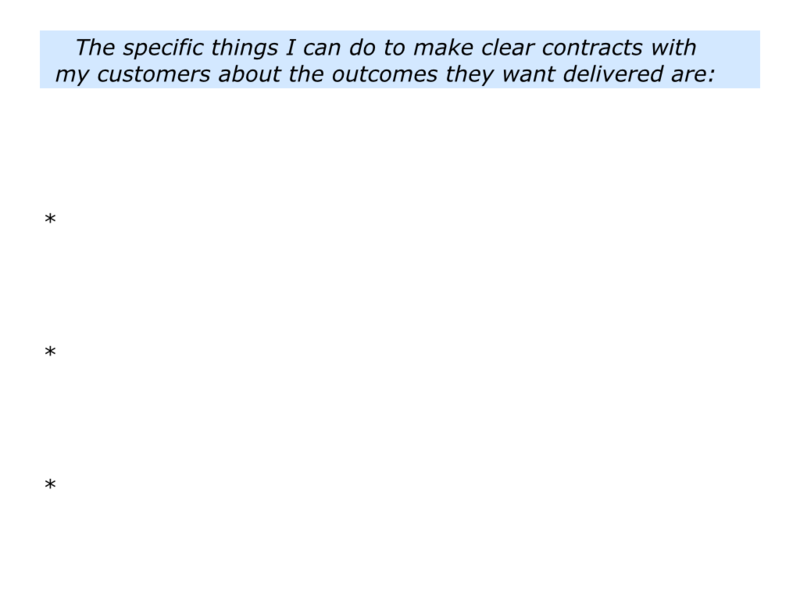 Describe the specific things you can do to make clear contracts with your key stakeholders about the outcomes they want delivered. 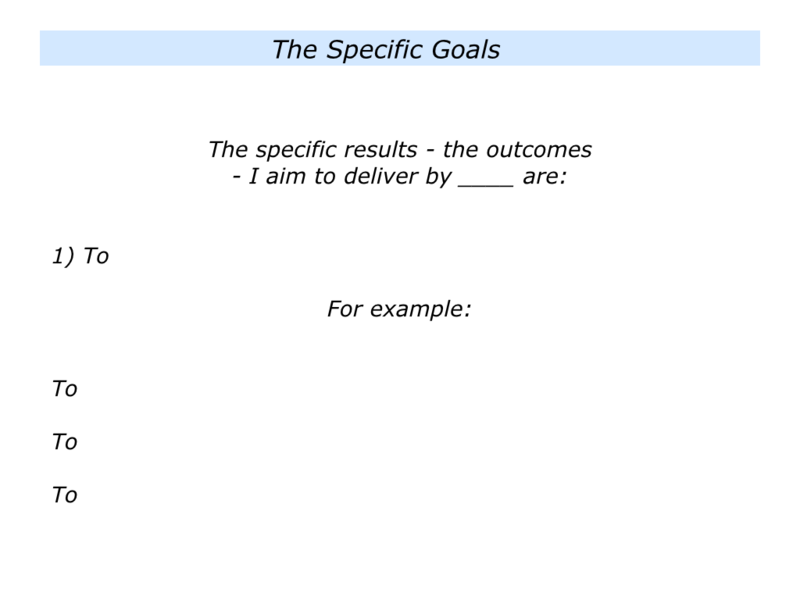 Describe the specific things you can then do to manage your stakeholders and deliver the agreed outcomes. 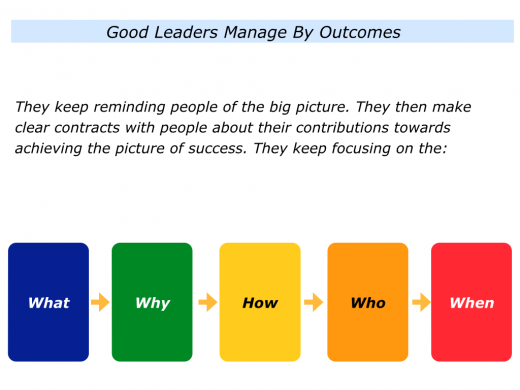 Good leaders focus on managing by outcomes, rather than by tasks. They achieve this by doing the following things. They show people the picture of success. They describe the What, Why, How, Who and When. They invite people to make clear contracts about their contributions towards achieving the picture of success. They manage by outcomes and focus on people’s actual contributions towards achieving the picture of success. Good leaders recognise that they cannot actually manage people. Such an approach would be patronising, because people manage themselves. They can provide people with an inspiring framework, however, and the support they need to do the job. 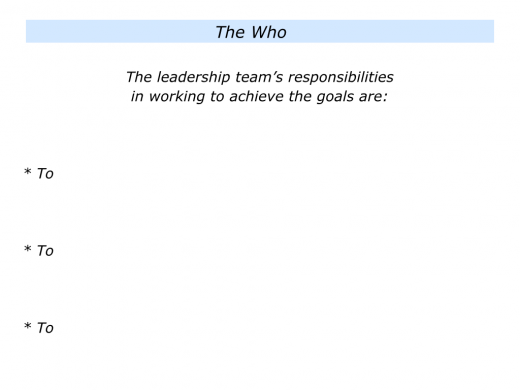 Leaders can then manage people’s contributions towards achieving the team’s goals. Let’s explore how to make this happen. 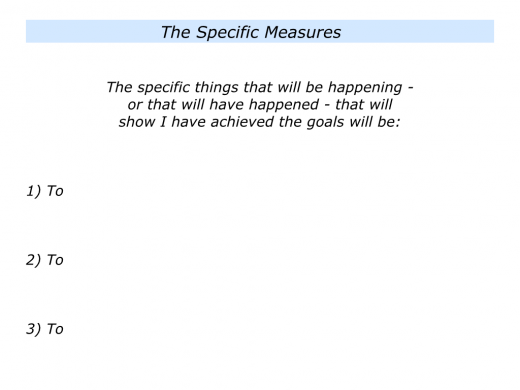 The What: The specific goals to achieve – the picture of success. 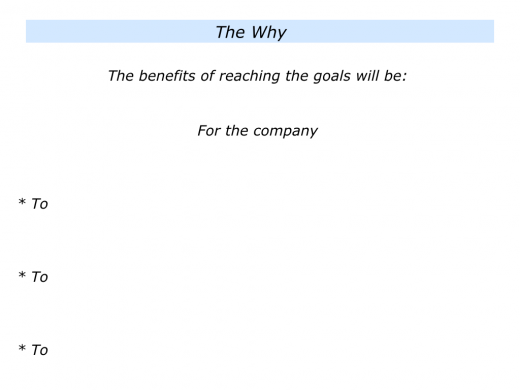 The Why: The specific benefits – for the company, colleagues and customers – of achieving the goals. 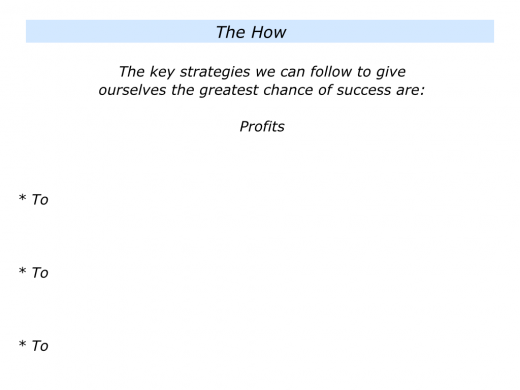 The How: The key strategies people can follow to achieve the goals. 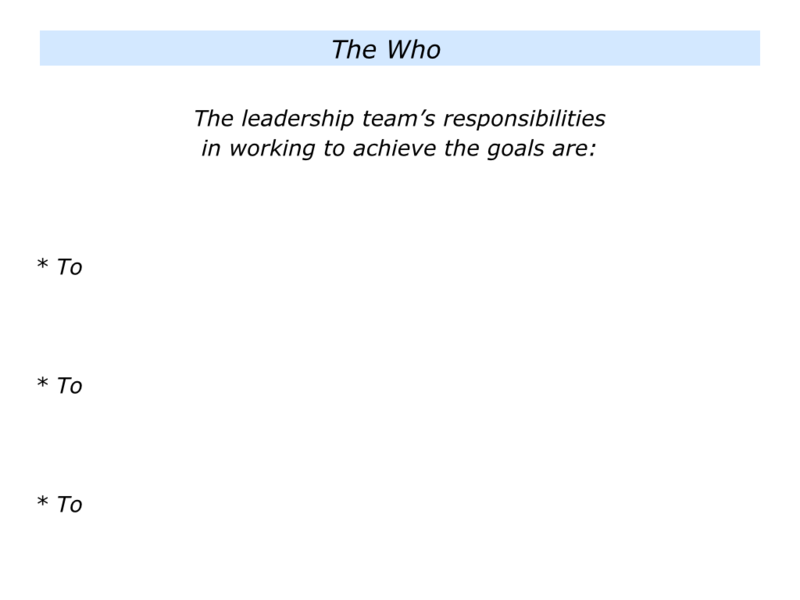 The Who: The various roles people will play – including the spirit they will need to demonstrate – on the way towards achieving the goals. The When: The specific things that must be delivered – and by when – on the way towards achieving the goals. People can then choose whether or not they want to contribute towards making the story happen. 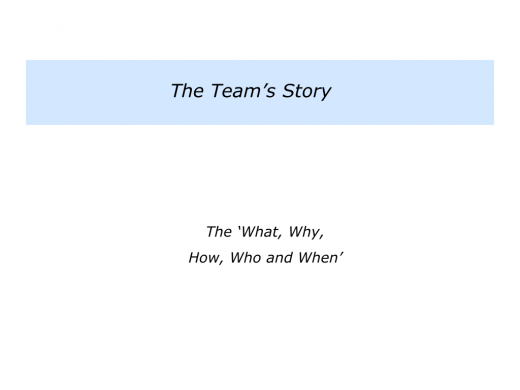 There are many ways to communicate a team’s story, strategy and road to success. One approach is to focus on the following themes. 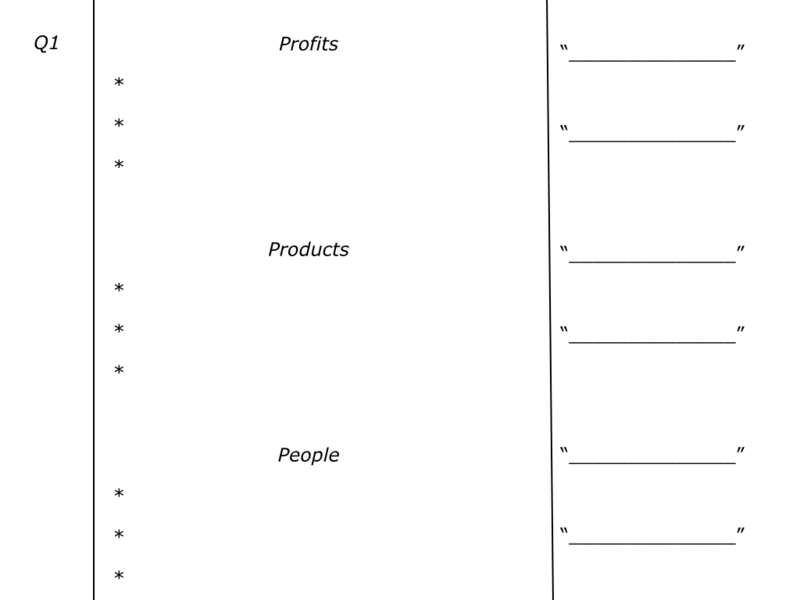 These break down the overall goals into the areas of Profits, Products – including customer satisfaction – and People. 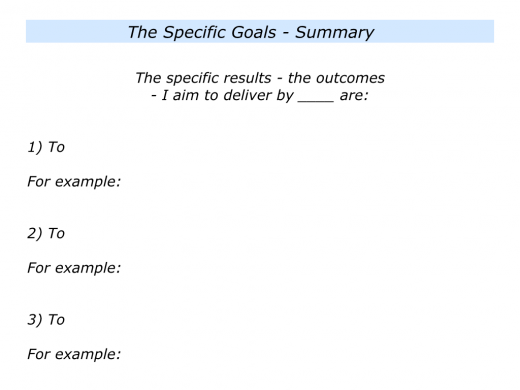 But you may use your own template for describing the desired outcomes. This is the crucial part. Super teams are made up of volunteers, not victims. So give people the opportunity to decide if they want to contribute towards achieving the goals. 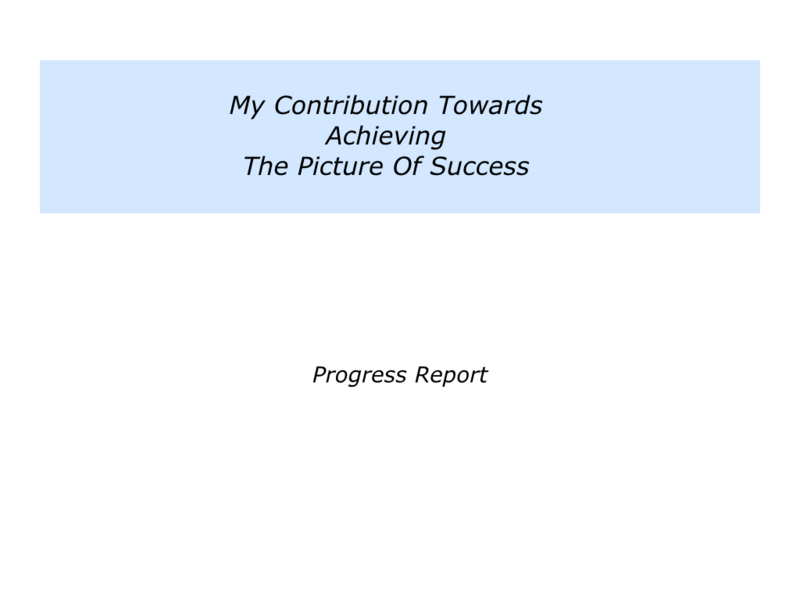 To focus on the picture of success. To build on their strengths. To clarify their best contribution towards achieving the picture of success. People must be able to show what they will deliver in outcome terms. This can be challenging. 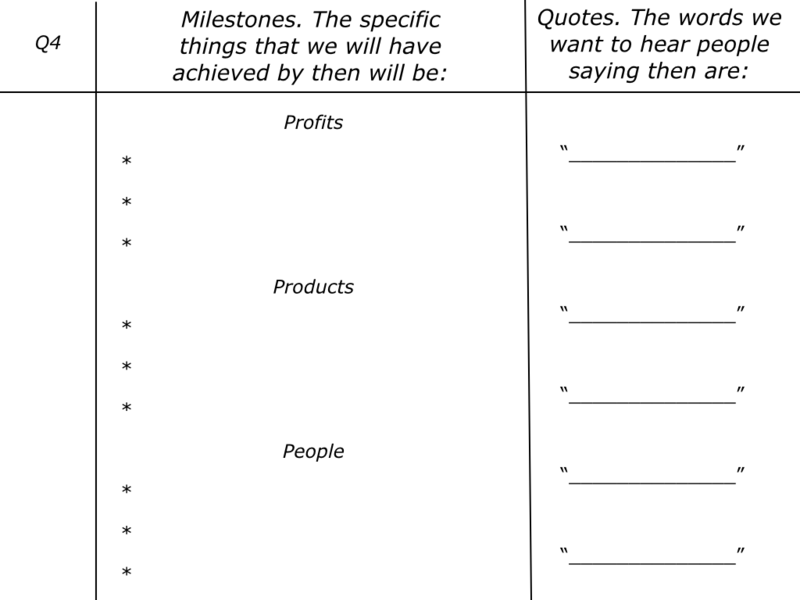 Many people are used to writing lists of tasks. They describe what they are going to do, rather than what they are going to deliver. 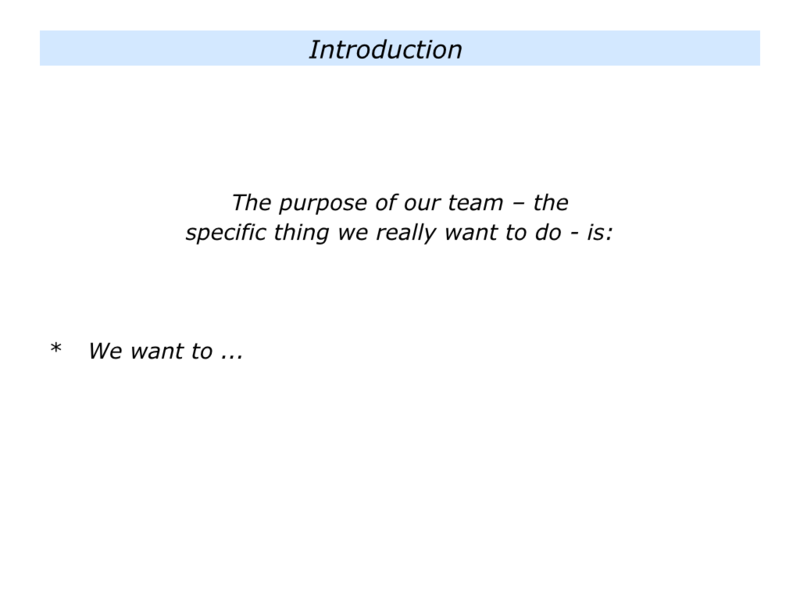 Spend a lot of time with each person agreeing on ‘What’ must be delivered. 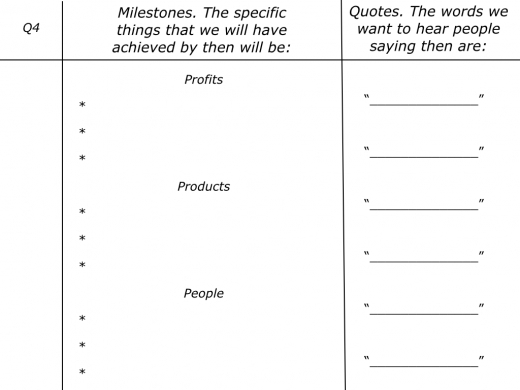 Make crystal-clear contracts about the real results to achieve. Why? 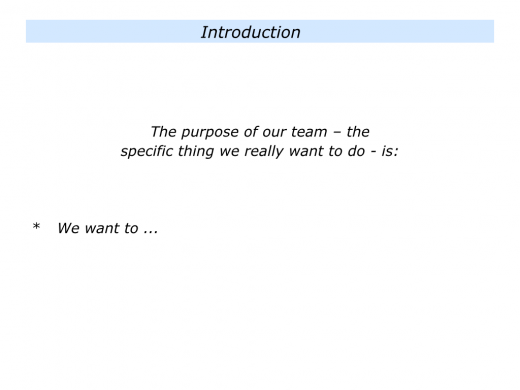 Because from then on virtually every performance conversation will start by concentrating on this ‘What’ – the agreed outcomes – rather than get into ‘supervising’ the tasks. After such a contracting session, for example, here is how one team leader might describe their contribution under the 3 Ps. 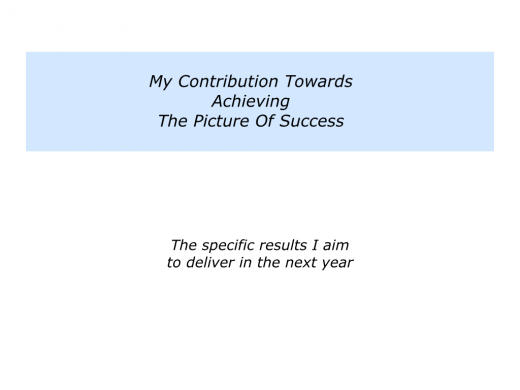 To ensure my team achieves its financial targets – a profit of £500k. 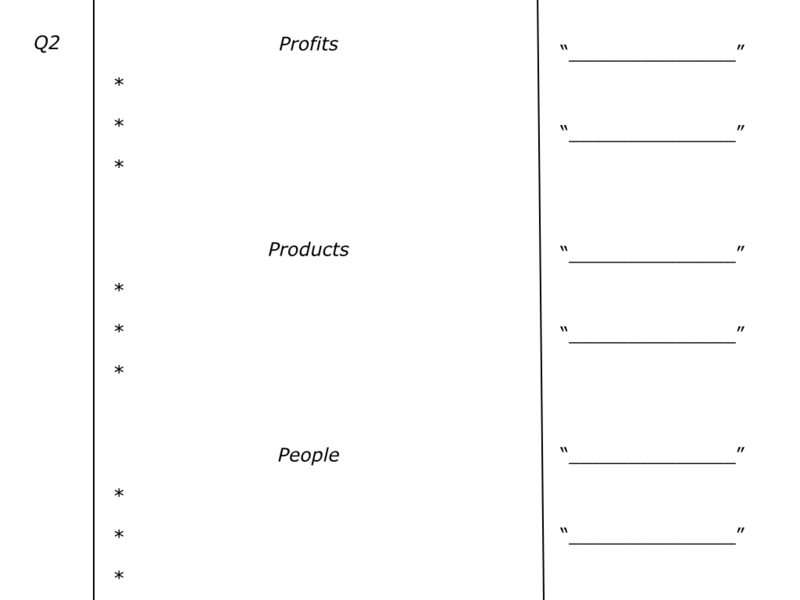 To develop 3 new customers and do work with them that delivers a profit of £100k. To reduce our overheads by £100k. To ensure more than 90%+ of our customers say they are extremely satisfied with our work. To develop 2 new products and pilot these successfully with customers – then launch these products by the end of the year. To simplify 2 of our complex products to ensure these are more user friendly for customers – then get a further £100k’s worth of orders for these before the end of the year. To deliver an internal morale rating of 90%+ of our team members saying they enjoy coming to work each day. 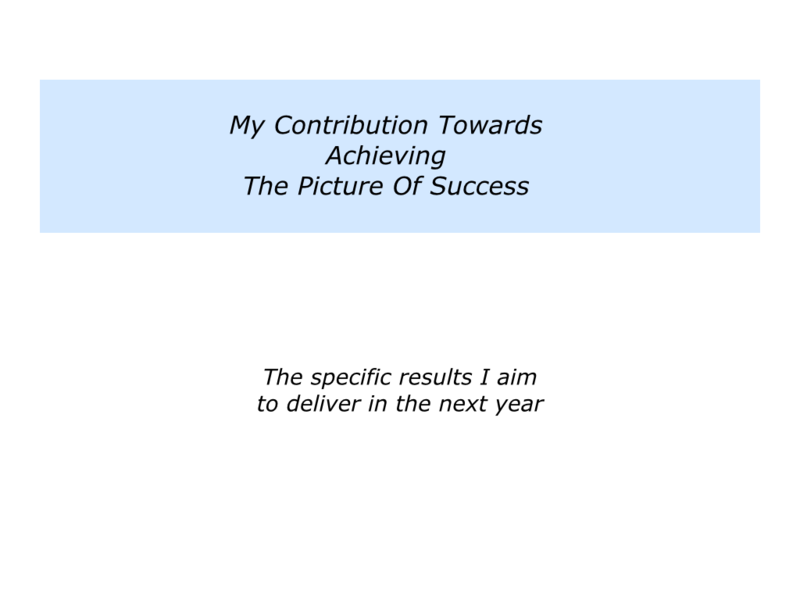 To educate, equip and enable 2 of my team members to win promotion and move on to other roles in the company. To recruit 4 new positive team members who take responsibility, build on their strengths and get some early successes that contribute towards achieving the team’s goals. 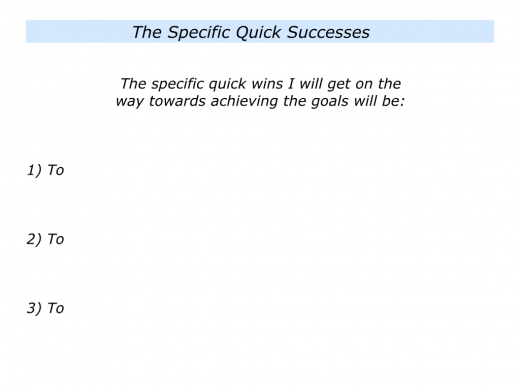 There are many different formats that people can follow to produce their goals. The one above invites people to follow the 3P framework. 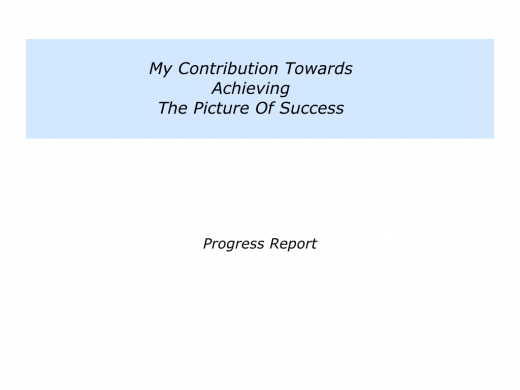 Below is a more generic framework called My Contribution Towards Achieving The Picture of Success. 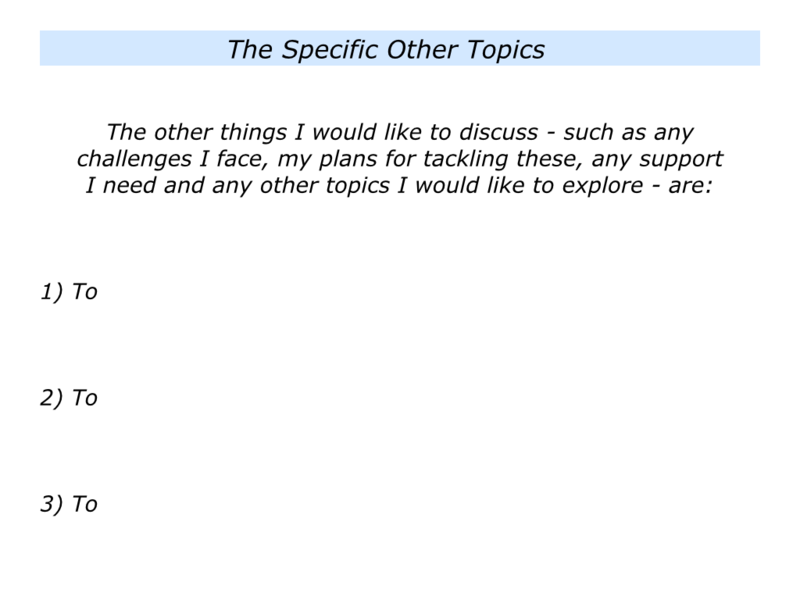 This invites each person to focus on the following themes. After agreeing on the outcomes, make sure people are given the necessary support required to do the job. Otherwise you are asking them to climb a mountain without the right equipment. Good leaders set up people to succeed. They then encourage, educate and enable them to do superb work. Make sure you keep focusing on outcomes. 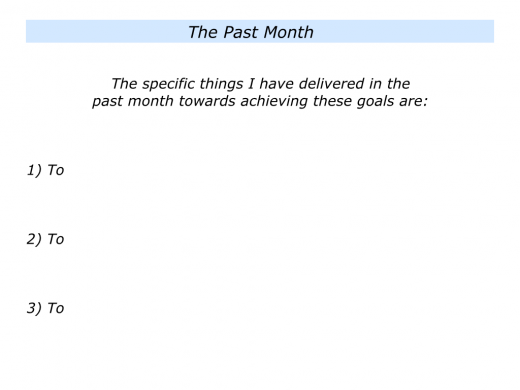 One approach is to meet with each person every month. They are to prepare ahead of time and complete the following framework. You can then work through it together during the session. Let’s go back to the real results to achieve. How can we do our best to deliver those results? What are the steps we need to take to make this happen? Why take this approach? People can get into a pattern of talking about details, making excuses or whatever. 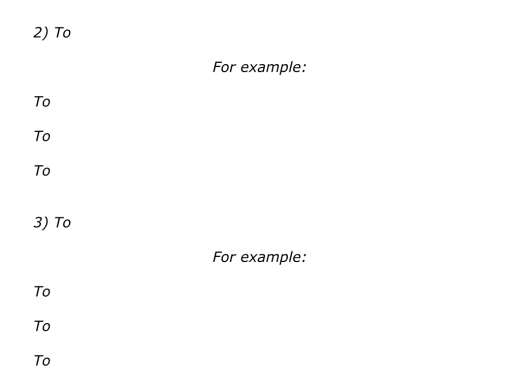 They may also confuse activity with results. Let’s go back to agreed outcomes. How can we do our best to deliver those results? 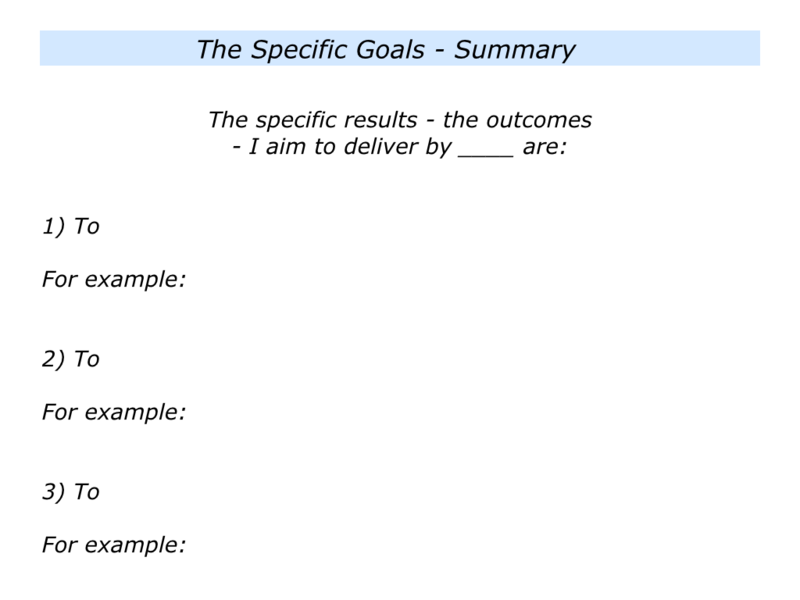 To clarify the specific goals that are written in outcome terms. To make clear contracts about the goals, including the required support. Many leaders face a particularly difficult challenge as they get older. They find that their control needs great stronger. They realise that they will be judged by their people’s performance, rather than being able to do every job themselves. How to square this circle? 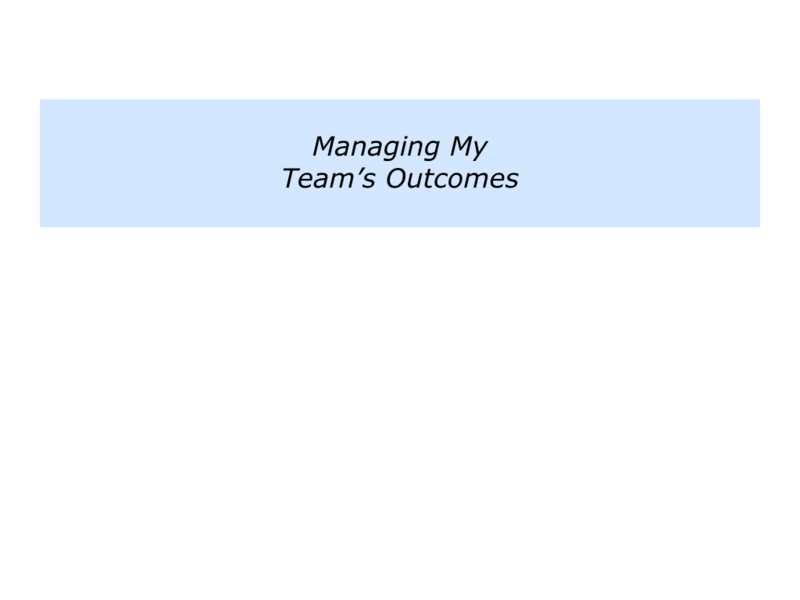 One approach is for them to manage by outcomes, rather than by tasks. 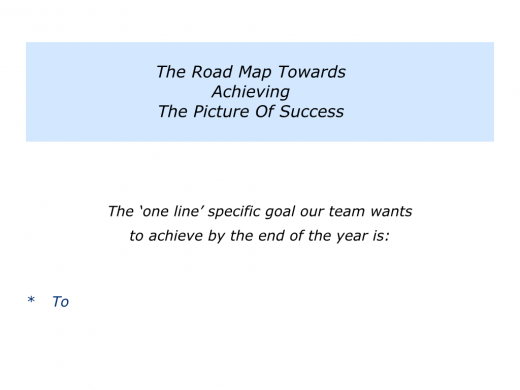 Taking this step can help to build an even more self-managing and successful team. 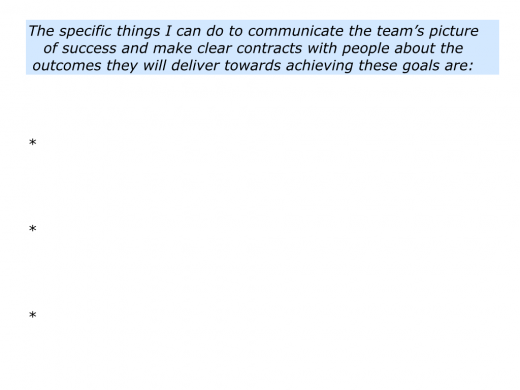 Describe the specific things you can do to communicate the team’s picture of success and make clear contracts with people about the outcomes they will deliver towards achieving these goals. 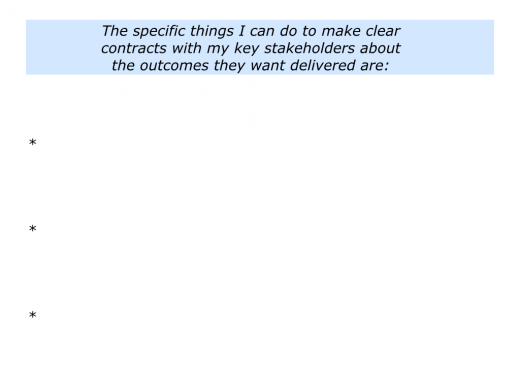 Describe the specific things you can do to ensure that people deliver the agreed outcomes. “During the last year I have reconnected with my customers,” explained the senior manager mentioned earlier. 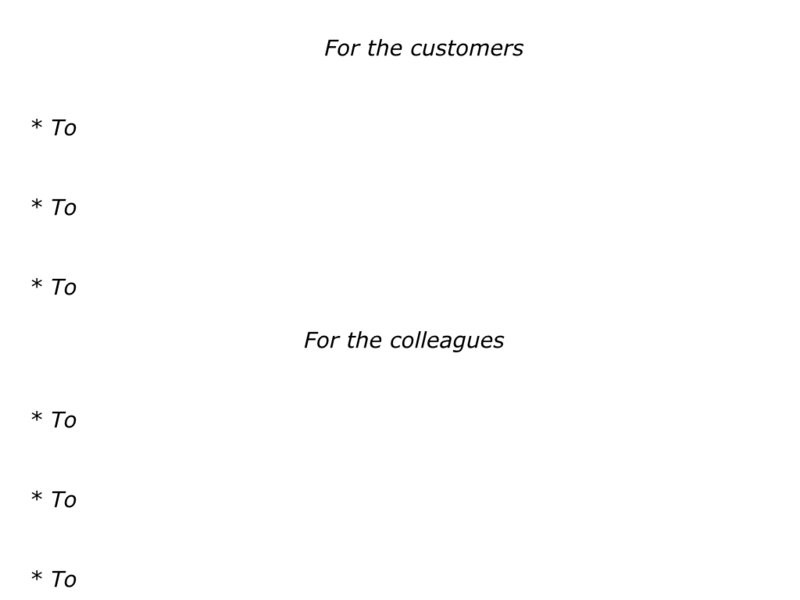 To re-establish contact with key customers who they had worked with in the past, some of whom had moved on to new roles. To act as a trusted advisor to these people and this resulted in getting more business for the organisation. To produce success stories that showed how the organisation had helped the customers to achieve success. Imagine that you want to provide great service to your customers. It can be useful to get alongside them and show you understand their picture of success. Bearing in mind their goals, you can explore the possible options for going forwards. If appropriate, you can show how your organisation may be able to help them to achieve success. To deliver the specific results – the outcomes – that will enable the customer to achieve their picture of success. To keep people informed about its progress towards achieving the goals. 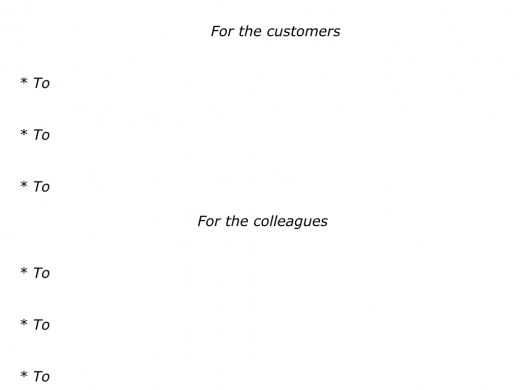 To provide great service and do whatever is required to help the customer achieve their picture of success. Great workers aim to help other people succeed. 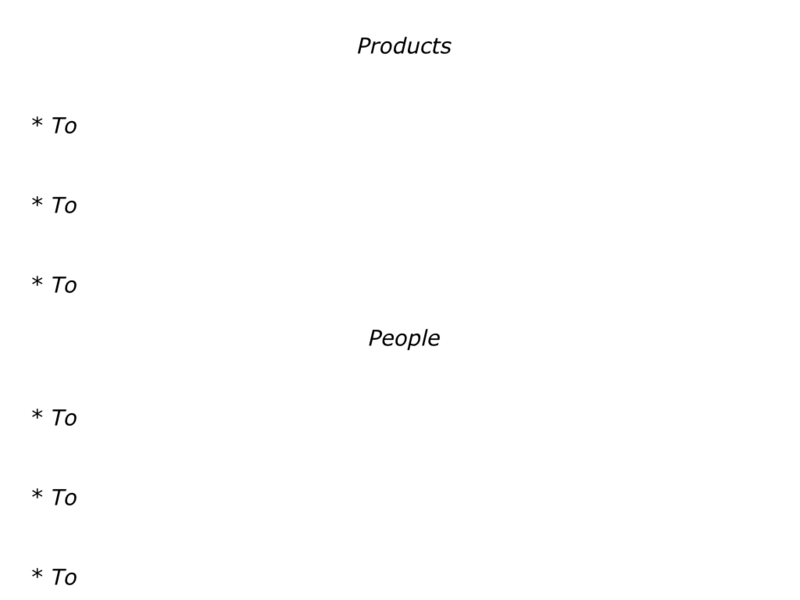 Sometimes this calls for making sure they manage their key stakeholders, team’s outcomes and customers. You will do this in your own way. 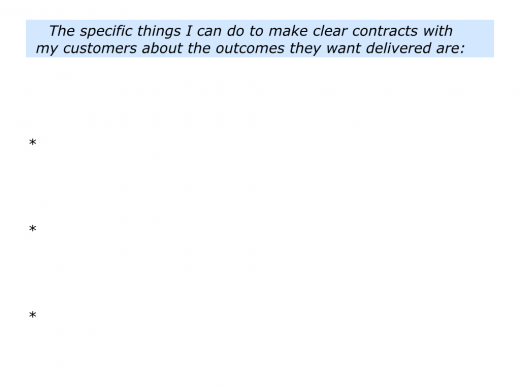 Describe the specific things you can do to make clear contracts with your customers about the outcomes they want delivered. 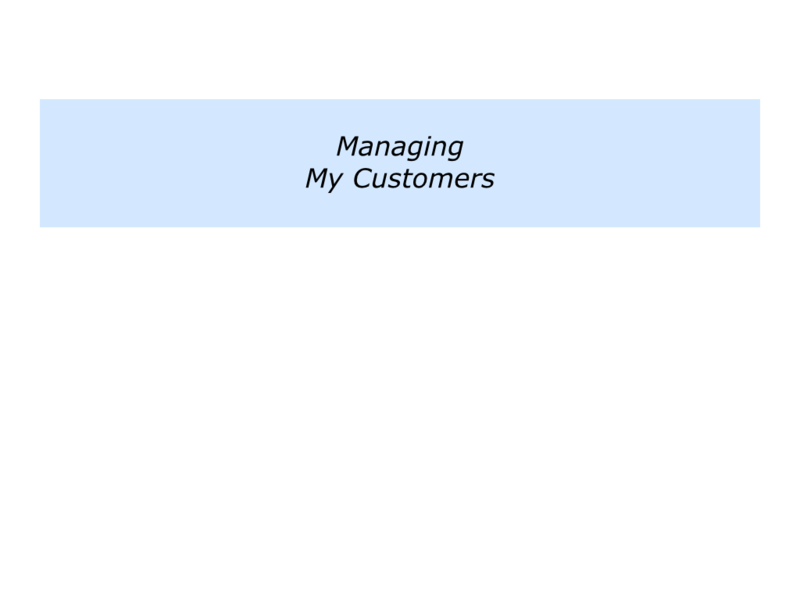 Describe the specific things you can do to manage your customers and deliver the agreed outcomes.